In this project MARSIG was the partner responsible for the development of the "Control Center" software. The main focus was to support the crew in coordinating people in emergency situations. This includes the monitoring of the crew during the execution of evacuation procedures. Additionally, the system shows actual positions of responsible crew members on deck plans and delivers status information for monitoring of passengers mustering on assembly stations. Special tasks, for example the guided search for missing people, are supported by this solution. 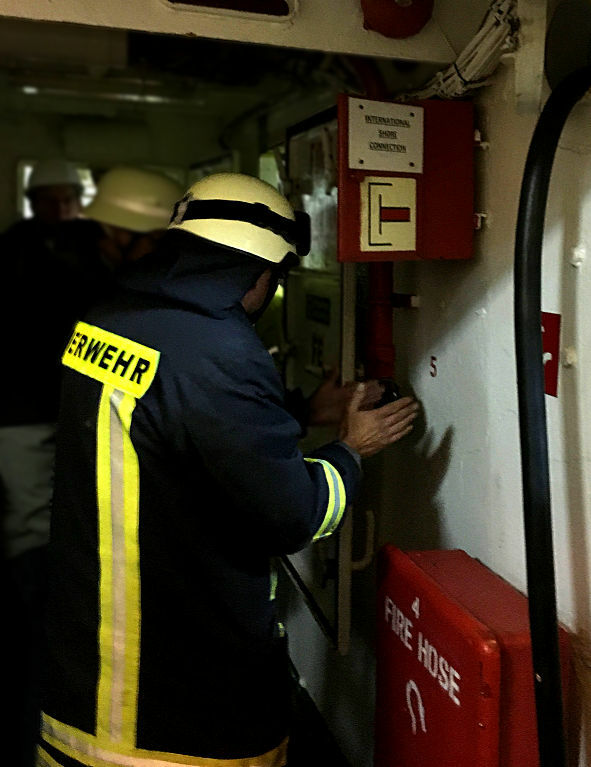 MARSIG is partner of the new R&D project EFAS "Operation Support System for Fire Brigades to Respond Danger on board Seagoing Vessels" (Einsatzunterstützungsystem für Feuerwehren zur Gefahrenbekämpfung an Bord von Seeschiffen). The target of the research project is an innovative overall concept for fire brigades. Therefore the partners will develop new technologies for communication, localization and data acquisition procedures. MARSIG is involved in the development of the monitoring and control system including mobile devices. This solutions will deliver situational information and will support the on scene coordinator, leaders and units during their firefighting operations.